About half of all children in the United States are diagnosed with some sort of allergen, usually between ages 4 and 6. That’s a lot of sneezy, sniffling, coughing kids with itchy eyes who feel miserable. 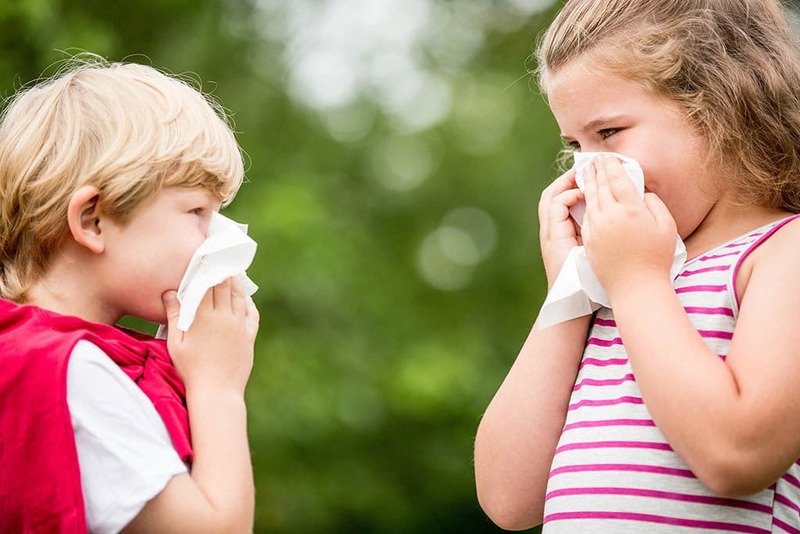 You will get a lot of options if you just search “allergy specialist near me,” but Pediatric Partners has in-house pediatric allergists who are always ready to help diagnose and treat allergies in children. We are also here to educate parents about their children’s allergies. To that end, here are 5 Things You Didn’t Know About Kid’s Seasonal Allergies. If your child has asthma, he probably has some environmental allergies. Most children with asthma – research indicates about 80 percent – have allergies that can trigger asthma symptoms. 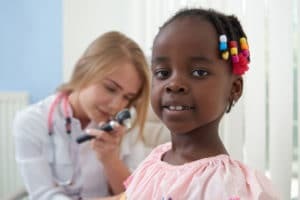 Allergen-induced asthma flare-ups need to be treated differently than allergy symptoms, and your pediatric allergist can help. 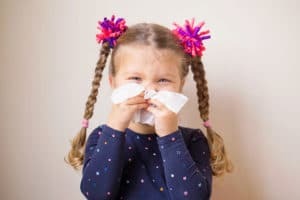 Children with seasonal allergies should start taking their medicine several weeks before the beginning of the season (ideally two to three weeks) and continue to take it until the end. The allergy season, of course, depends on the specific allergy. Children with year-round allergies might need to take medicines all year. Most allergy medicines are designed to help prevent allergy symptoms, not treat them once they start. Talk to your pediatric allergist about the best course of action for your child. It is a fact that regular exposure to allergens can strengthen your immune system. Local honey, which is full of pollens from your area, is safe for children older than 12 months. 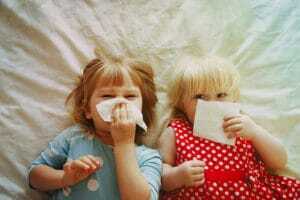 The theory is that if you give your children the honey, it will strengthen their immunity to certain allergens. The only problem is that honey does not have consistent levels of pollens. Scientific studies of honey and allergies are few, and the ones that have been done show conflicting results. Still, honey is tasty and can be good for cough relief. Knowing the overall pollen count is somewhat useful, but not all allergies are the same. If your daughter is allergic to ryegrass and the pollen count is high for ragweed, she will be fine. Most weather services report only the overall pollen count, and that does not give a clear picture for your child’s specific allergy. If you have not had your child checked, you don’t have to randomly search “allergy specialist near me.” Bring her to Pediatric Partners, and our pediatric allergist will perform tests to narrow down which pollen most affects your child. Until 2014, allergy shots – injections to reduce allergic reactions – were the only course of action for children. Shots are still the only treatment for children under age 5, but there are now oral tablets some children can take after their fifth birthdays. Ask your pediatric allergist because there are some restrictions, and children need to be monitored for half an hour after the first dose. If you think your child needs to see a pediatric allergist, contract Pediatric Partners and schedule an appointment today.